Daniel Keefe. PhD Defense Talk. Brown University, 2007. 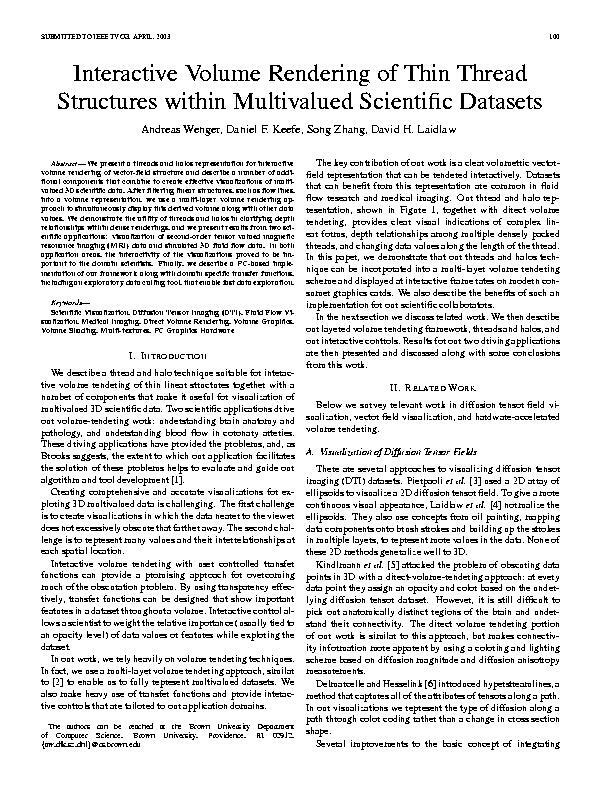 Unpublished (pdf) (bibtex: Keefe-2007-DEF). Daniel Keefe. Interactive 3D Drawing for Free-Form Modeling in Scientific Visualization and Art: Tools, Methodologies, and Theoretical Foundations. PhD thesis, Brown University, 2007. (pdf) (bibtex: Keefe-2007-I3D). Daniel Keefe and David H. Laidlaw. Analysis of Performance in Precise 3D Curve Input Tasks in Virtual Reality. IEEE Visualization 2007 Poster, 2007. (pdf) (bibtex: Keefe-2007-APP). Daniel Keefe, Robert Zeleznik, and David H. Laidlaw. Drawing on Air: Input Techniques for Controlled 3D Line Illustration. IEEE Transactions on Visualization and Computer Graphics, 13(5):1067-1080, September/October 2007. (pdf) (bibtex: Keefe-2007-DOA). Daniel Keefe and David H. Laidlaw. A Haptic Interface for Creating Smooth 3D Curves with Varying Line Weight (POSTER), 2005. (pdf) (bibtex: Keefe-2005-HIP). Daniel Keefe and David H. Laidlaw. A Haptic Interface for Creating Smooth 3D Curves with Varying Line Weight. 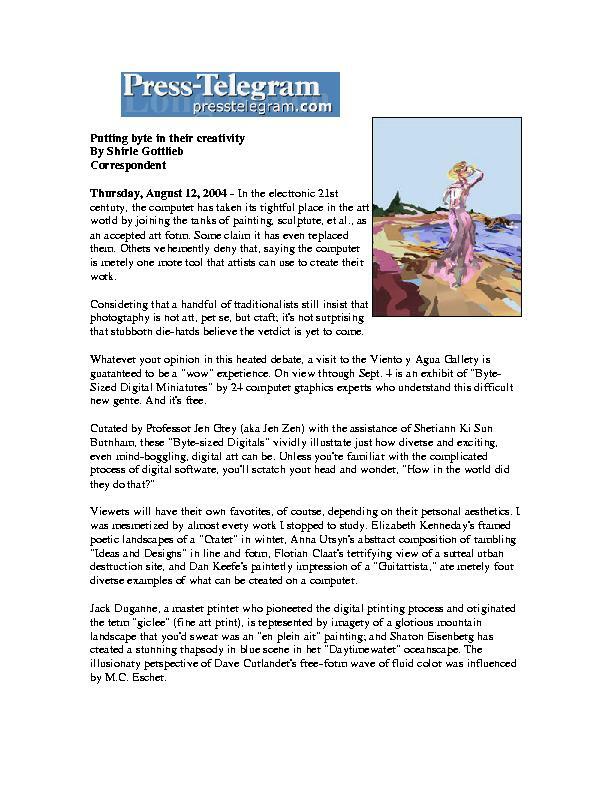 In Proceesings SIGGRAPH, Posters Program, 2005. (pdf) (bibtex: Keefe-2005-HIC). Mary Jo Curtis. Cave Painting for the 21st Century. George Street Journal, April 2003. (pdf) (bibtex: Curtis-2003-CPF).